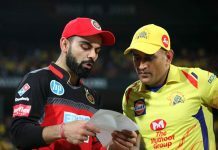 Royal Challengers Bangalore will take on the Kolkata Knight Riders in the second game of Super Sunday at the M Chinnaswamy Stadium, Bangalore. Both teams will look forward to earning those two ‘precious’ points in order to move a step forward towards the playoffs. After crushing defeats in the last game for both the teams, it becomes even more important. Where KKR lost to DD by a massive margin of 55 runs while RCB could not defend a 200+ score against CSK. Keeping that in mind, RCB could play an extra local fast bowler as they have plenty of options available in the form of Khejroliya, Aniket Choudhary or Navdeep Saini. For this, Pawan Negi will have to lose his spot. Another advisable change is to replace either Colin de Grandhomme or Corey Anderson with Moeen Ali. Kolkata Knight Riders will make changes in their bowling not only after they lost to DD in the last match but they have one of the worst economy rates of 9.28 in this year’s IPL. In the last match also, they conceded 79 runs in the last five overs. For this, they might get Tom Curran back in the side in place of Mitchell Johnson. Also, young Shivam Mavi may also have to sit out after he got the bowling figures of 4-0-58-1 in the last match. It will be a warm and pleasant game for the players out there in the middle at Bengaluru. It will be a treat for the spinners as a genuine turn is being offered at the pitch.